First of all, I’d like to thank each and every one for the lovely comments and wishes in the previous post. These two months gone so fast.. Being pregnant I’d read somewhere that when you bring a baby home, your life becomes a blur and chaotic. I doubt why is that.. I thought I’d had at least a hour or so between a mealtime. Now I understand how wrong I was. I sleep when I can, shower when I remember and eat when I have a time (needless to say, that now I can eat a cold dinner, which I used to hate before; I reheat my tea a million of times and finally drink it cold). 😀 But! This little guy is worth his weight in gold because he brought an absolute joy into my life. ❤ Last month was a cherry season here.. in supermarkets! Haha. 😀 I adore cherries! I wish they were sold often here so I could eat them every single day! 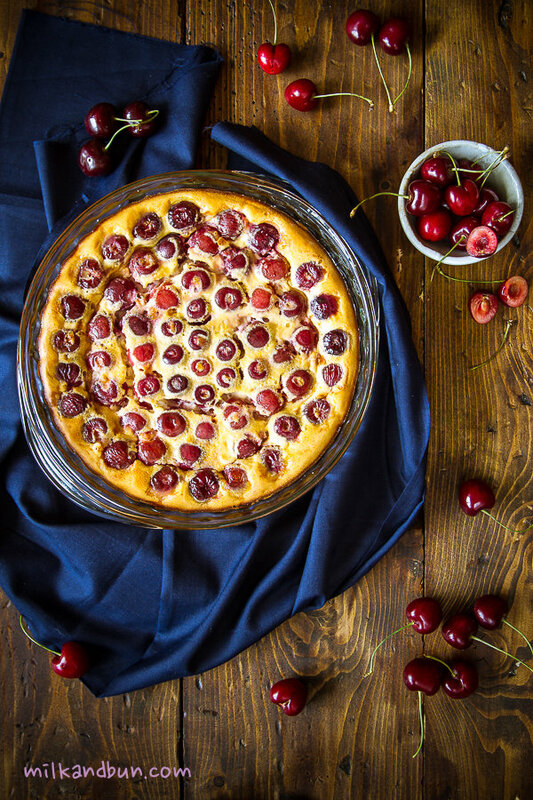 Besides consuming fresh cherries, I made one of the simplest desserts – cherry clafoutis. 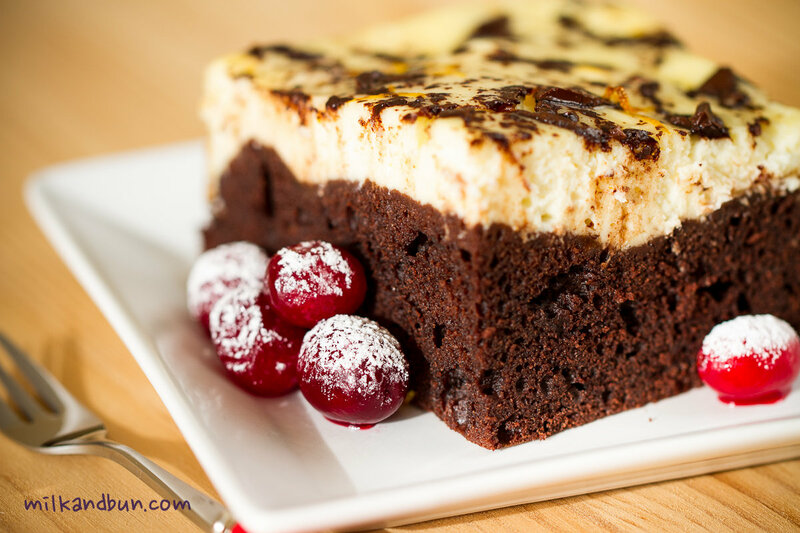 Lots of sweet cherries in a tender custardish batter, it is a perfect delicious treat. 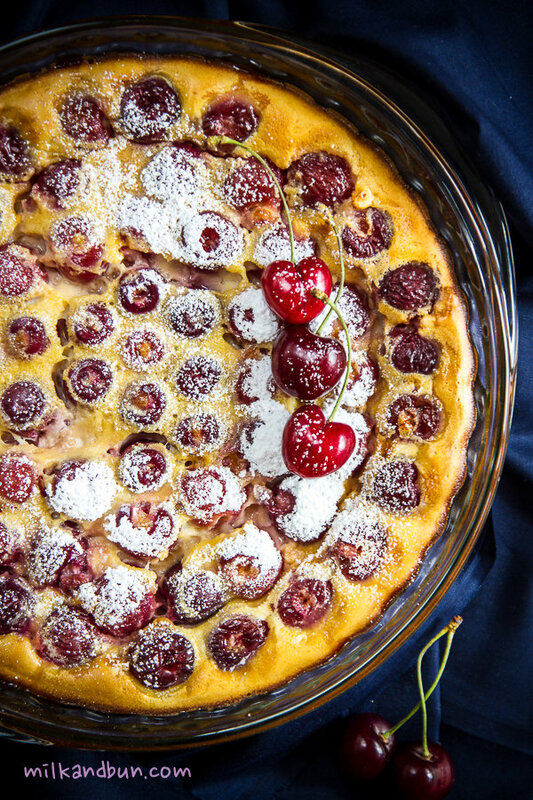 Clafoutis is a baked French dessert, traditionally made with stoned cherries. Honestly speaking, may be it’s really authentic and stones add a nice almondish aroma, but I prefer to enjoy every bite of the dessert and do not think about that I can crack teeth.. And of course, if I make it for guests I don’t want them to spit out stones. 😉 Enjoy! Mix all batter ingredients in a large bowl until smooth and set aside for 15 minutes. Grease a round baking dish with butter and sprinkle with sugar. Arrange cherries in a single layer in a baking dish. Bake the clafoutis until the custard is set. Mine took about 50-60 minutes. Serve warm and sprinkle with icing sugar, if desired. Aug14August 14, 2016 • By milkandbun • This entry was posted in Dairy, Desserts and tagged baking, cherry, cherry clafoutis, clafoutis, cooking, delicious, dessert, food, food photo, food photography, food styling, French dessert, Jamie Oliver's recipe, My Life, recipe. Bookmark the permalink. I managed to make it once for the whole month.. 😀 but hope will find a gap for cooking and photo-shooting between feeding and other baby-things somehow. Excellent clafoutis. Lovely pictures too. All this while balancing the family too! Mila, it’s so good to see you post and the clafoutis is beautiful. Sounds like you have your hands full with your little bundle of joy. I am with you about pitting the cherries, I know it’s tradition to leave the pits in but someone can bite down on a pit and do damage to their teeth. Looks yum! Cherry season has gone here so I might try your clafoutis with blueberries or something! Grad you could manage to find some time to bake/post! Hello again. Good to hear from you!! Of course I remember you and your LOVELY blog! Still bake your kasekuchen and trying it without quark. I will reblog your post sometime later! Looks delicious and I’m surprised by the simplicity of the ingredients – and although I can’t relate to the new baby craziness I am feeling it for my sister who is about to have her first and I think she feels it will all be plain sailing…..
Having raised two children, I understand how you basically have no control over your life! I’ve often mentioned to moms with blogs that I truly don’t know how they manage. And I really don’t! I’m retired and the blog is like a time-consuming job – but one I love. Good luck with everything! Especially sleeping! Thank you for your support, Mimi! I’m still searching the way how to combine baby and blog, and it’s a bit complicated so far..
Uhg cherry season! 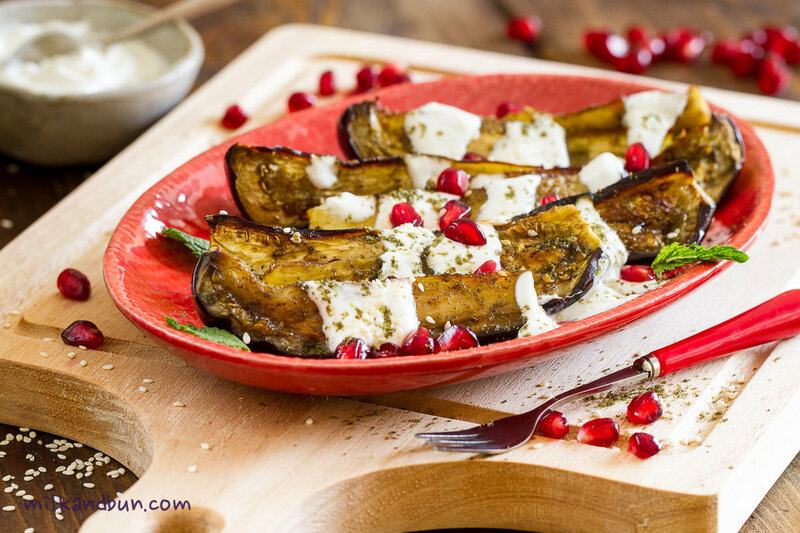 This not only seems delicious it looks absolutely beautiful! Thanks, Mary! I wish I could buy and eat fresh cherry more often, I love them! Cherries and berries, I cannot get enough of. Thanks for this awesome recipe. 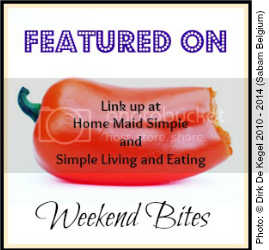 I am following your blog and would like to know if you may be interested to be a Guest poster with us, and share some of your awesome recipes on our blog? I’m so happy I got to know your blog through our mutual One Lovely Blog Award nomination. 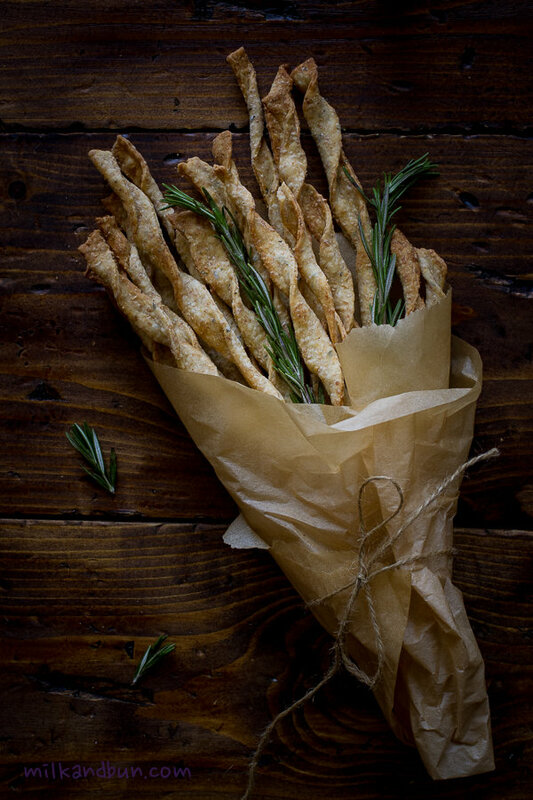 I am already in love with your recipes and photos. I’ll be following you 🙂 Nice to meet you!